A vaccine against cholera is being used on a large scale for the first time in Ethiopia by teams from the international medical organisation Médecins Sans Frontières/Doctors Without Borders (MSF). The mass immunisation campaign will protect South Sudanese refugees in Ethiopia’s Gambella region, as well as the host community, against the risk of cholera spreading across the border from neighbouring South Sudan, where an epidemic was declared in June. Cholera is endemic in the Gambella region, while overcrowding and poor sanitation in the area’s refugee camps could provide a perfect breeding ground for the Vibrio cholerae bacillus. More than 185,000 South Sudanese refugees have been registered in the Gambella region by the UN High Commissioner for Refugees (UNHCR). The cholera vaccine is given in two doses. 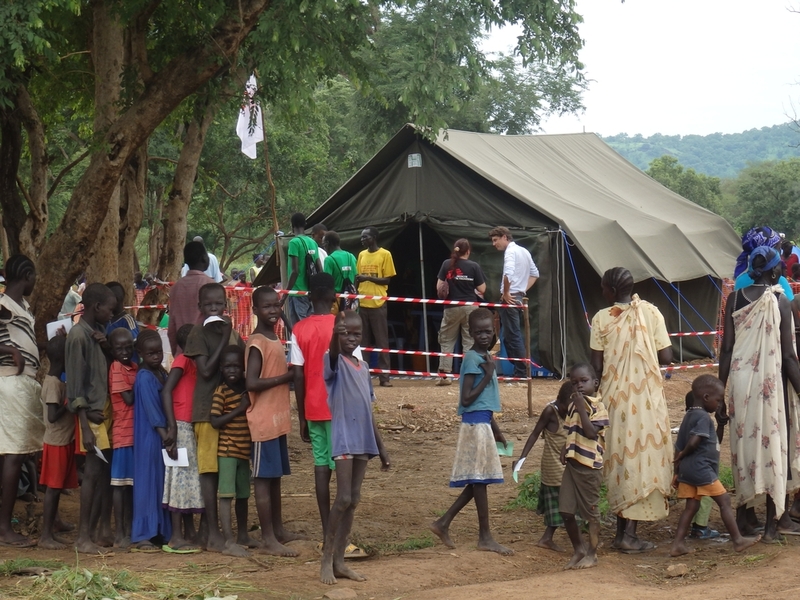 MSF teams administered the first dose between 24 July and 2 August to refugees in Lietchuor, Kule and Tierkidi camps, and to newly arrived refugees in Pagak, Pamdong and Matar transit centres. The vaccine, which must be stored between 2° and 8°C, needs to be transported in refrigerated trucks from the capital, Addis Ababa, to the vaccination sites, and then kept in portable coolers. More than 300 MSF staff have been deployed in the refugee camps and surrounding villages, with medical teams administering the vaccine and community health workers raising awareness about the campaign amongst refugees and locals. In the first round of the campaign, 151,723 people – or 85% of the target population in the refugee camps – were vaccinated against cholera. This is a good coverage rate despite the overestimated population. Each one received a vaccination card enabling them to receive the second dose of the vaccine. The second round of the campaign began on 15 August and will last for two weeks. All those vaccinated also receive a bar of soap, as one of a number of measures – which include vaccinations, good hygiene, and water and sanitation provision – to limit the risk of cholera breaking out. MSF provides medical care to South Sudanese refugees in Pagak and Matar transit centres as well as in Letchuor, Kule and Tierkidi camps and in Itang. MSF provides also water and sanitation services in Pagak, Kule, Tierkidi and Gambella, in Ethiopia.